Many clients have general questions, FAQ, about production in addition to their own projects. This will cover varied points of information in addition to how we operate, but know that each project is different and unique and we’d be happy to address those with you individually. These are the starting lines for your project. If you start off in the wrong direction, it’s time consuming and expensive to make changes and reverse course later on. When you’ve answered these 3 important parts, then you can start to really plan. During our initial discussions with you, we will provide a detailed game plan for your project. How much will my production cost? Tough question. Think about how much to build a house. How many floors? How large? Granite countertops or laminate? Carpeting or marble floors? You get the idea. For each production, your actual needs and goals will determine the basics, and then elements like available budget, creative direction, time frame, changes will dictate that final bottom line cost. NO ONE should be able to give you a price for a production until you have a script in hand that outlines the complete project with specifics, locations, required materials and talent decisions included. They’re kidding you if they think they can or they are overcharging in order to cover themselves in case they’re wrong. We never “under budget” a project in order to get it and we never “over budget” to cover ourselves. We want us both to know exactly what is required and how the costs are broken down. Your Production Agreement and your invoice will be line itemed for your convenience. We’ll also discuss all the creative elements that are available that could enhance your project. Possible animations, multiple cameras, a jib or Movi camera configuration, special music, graphics and more. Our philosophy is… straight forward budgeting with no surprises. Again, so many elements here. Is it a training series? Commercials? A web site? How many locations and participants? Voiceover or live talent? How long is the actual video or how big is the web site? Once we have an outline and a script, we can predict the actual production timeline. How do you know all that it will take to do my project? First, every project is unique but we’ve been at this for nearly half a century. We’ve worked on small projects, medium, large and completed projects ranging in price from a few hundred dollars a day to tens of thousands and lots of people. The important thing is that we know the questions to ask. We know what it should take to do your job given no changes or surprises. We spend time with a client to determine the real need and goal, and then after asking all those questions, we come up with a plan for a smooth project. After nearly 50 years, we have a system we use to make sure we know where you’re going and how we’re getting there. Then together we work on getting it done. You may want some changes as we’re moving along. We may have a suggestion or two in order to tweak the work flow, but we always communicate. There are a number of people that start a project, make it all come together and work on it as a part of our team. Producer: This is the person who will spearhead your project. They will coordinate with you on all aspects from initial conceptualization to planning, budgeting, scheduling, creative considerations, and overall project management. Director: Depending on the size and scope of your project, this may or may not be the same person as your producer. Each project is different and the timing of our own schedules could dictate the assigned personnel. This person will direct actual production activities including video taping, creative execution, coordination with your personnel, artists, talent, audio and other elements for your production. He/She will also be involved in the final editing process with the video editor and direct communication with you, the client. Camera Operator/s: This person is the actual camera operator responsible for “getting the shot.” They might be operating a standard High Definition camera on legs, handheld, on a camera boom, using a movable Movi unit or other configuration. They operate under the direction of the Director and based on their own long time experience will input creative ideas. Grips: On different projects based on location and complexity, a separate lighting director is assigned to coordinate which lighting is used, where it is placed and controlled for the final effect. Audio Engineer: For simple one camera shooting, the camera operator will generally oversea the audio responsibilities, For larger shoots and certainly broadcasts, a separate engineer will dictate, place, control and record several and varied mics for complete coverage. Lighting Director: Depending on location – inside/outside – and whether existing lighting needs to be enhanced or controlled, a lighting director may be needed. Without proper lighting, subjects will not appear nature and will not convey the message intended. Depending on needs and available power, a separate generator my be ordered to run the lighting. Grips will help handle the large reflector boards, lights, cables, generator, power connections and support equipment as needed. Webcasting Engineer: (when required) For those webcasts and broadcasts, a separate engineer is required to make arrangements for, set up and make all the connections to the internet, test them and ensure their quality and then to monitor the broadcast to make sure the outgoing stream is of the quality you expect. Stage hands: When required for live events, extra personnel are needed for setting up large screens, projectors, staging, lighting, audio equipment and the myriad of production equipment that serves a live event. Graphic Artist: Making sure existing art, or creating new art, for a production meets the standards for quality, size, and format is paramount. Many projects require creating new graphics for titles, charts, maps or general creative elements. Talent: Voiceover or live on-camera talent will depend on the project. Each as its own benefits and uses. Some say they’d like their company CEO to be the spokesman. However, if they can’t remember a line, read a line or appear comfortable, then you’ll spend more time and crew frustrations trying to make them look good than is worth the effort. Selective use of specific talent is important to your project’s success. Many times using company personnel will increase editing efforts and budget to make them look good and fit in. Sound Engineer: For finishing up the audio needs of a project, this position will take all recorded materials, clean it up and edit it as needed, mix it adding in music and sound effects as needed (do you think all those bird sounds really exist in nature?) and enhance the ability of your project to deliver the message. Animator: When required or appropriate, this element can enhance the project. Whether a simple treatment of a company’s logo, or full sequences to create the view that doesn’t exist of your mechanical or engineering marvels, it can be an important addition. Video Editor: This is the magician that brings it all together; the visuals shot on location; the audio creations; the graphics and animation. It’s a process that requires intense knowledge of current technology, a creative eye and patience. Our emmy award winning editor is one of the best and anxious to work on your project. Web Master: For those projects going to the web, this designer will take your needs, your ideas, graphics, video and text information to create a website that meets your needs and exceeds your expectations. He’ll then work with the programmer to ensure the backend for your database needs works smoothly. These are the general / normal positions used on standard productions. Some will be needed and others not but will depend on the size and complexity of your project. Who owns my project when it’s completed? Easy. You do. You can do what you want with it, use it as many times and in general anywhere you want. 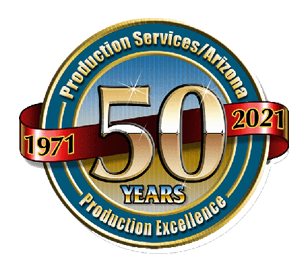 Keep in mind that any production group will use materials from a variety of sources that are copyrighted – but licensed – for you and for your project. So you can’t steal passages of music or take out nice photos and video segments and sell them because they actually belong to someone else. We’ve paid a fee to “use” them in your project. But the actual finished product is yours to use for trade shows, on your website, on a DVD, or just about anywhere with very few exceptions. Ownership of a project (the right to use it under our Production Agreement) passes to the client upon full payment of any outstanding balance on their project. All raw materials and 3rd party materials licensed to PS/A for your project remain the property of PS/A unless arranged in advance. Again, our philosophy is… no surprises. Who do I communicate with if there’re questions or updates? Each project has a Producer – or Project Manager. You’ll have their contact info or you can always come here and drop us a note and we’ll follow up. We’re famous for that. What are your payment terms and methods of payment? 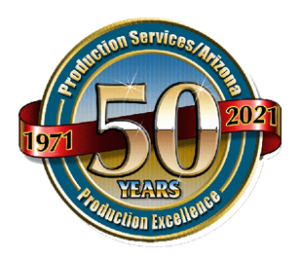 Each project for PS/A has a “Production Agreement.” This lays out the specifics of your project as to what we are asked to do, what are we including in the project for equipment, personnel and services, and the agreed upon price. We do not believe in surprises so we want to be up front with every client on all aspects of their project. Each project has a required deposit and a payment schedule based on how large the project is and how long it will take. First time or out of town clients’ projects are generally paid in advance of the project or the event. When we crew a project for other production companies or groups, those fees are paid in advance as well. Any open invoice is Due Upon Receipt and past due after 7 days. We accept checks, bank transfers, ACH, and credit cards through PayPal. Any PayPal invoices/transactions carry a PayPal service fee. Can I use my own materials on my project? Clients are free to use any materials they bring to us for their production ONLY if they own the materials and the right to use them. We can not use commercial music from CDs or video material from DVDs etc. All materials used in productions is owned by someone and unless you have paid for the right to use that materials, the copyright belongs to them. We are very strict on this policy as our team does not wish to spend tens of thousands of dollars in fines or years in a jail cell next to yours. We obtain use licenses on all music, video and image materials used in your production. It’s for your benefit and protection as well as ours.